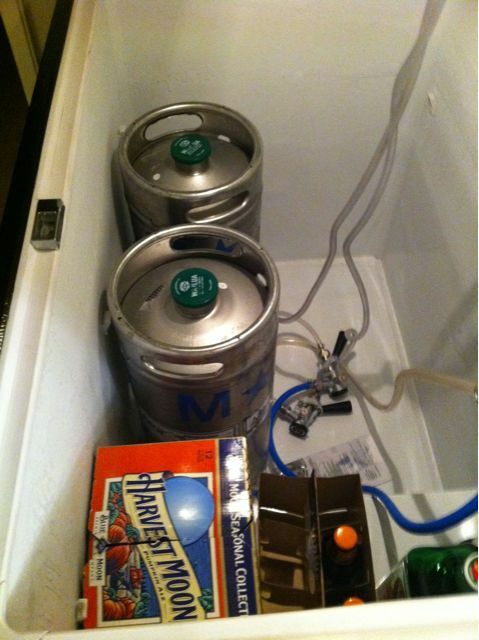 After work I rushed down to orange county to finally pick up a keg for the new kegerator. I really wanted my favorite seasonal beer from the kona brewing company but I was at the end of the season and they weren’t producing anymore. I found Hi-Time Wine Cellars in Costa Mesa. They have an amazing selection of beers with a walk in fridge and more then 100 beers there. It was a pretty neat place but I was rushing so I didn’t look around too much. 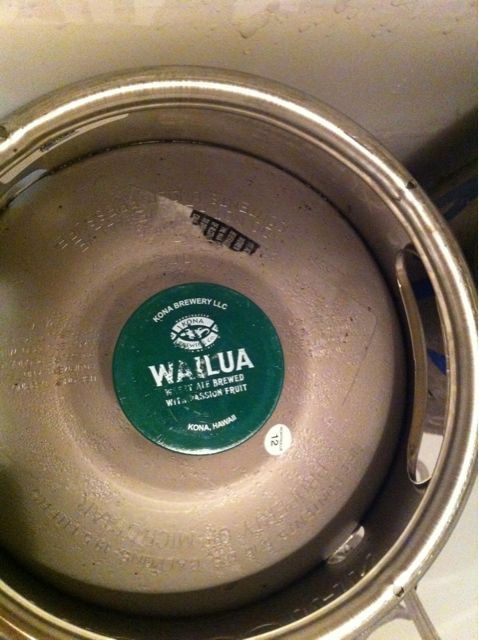 I rushed down there after work and grabbed 2 5 gal kegs because they didn’t have any 1/2 barrels left. Threw them in the back of the 510 and flew home. They are chilling in the cooler right now and once they settle down I can tap one of them. I’m pretty excited that after all the running around and money I can finally enjoy beer on tap at the house. ~ by B. Rogers on September 16, 2010.